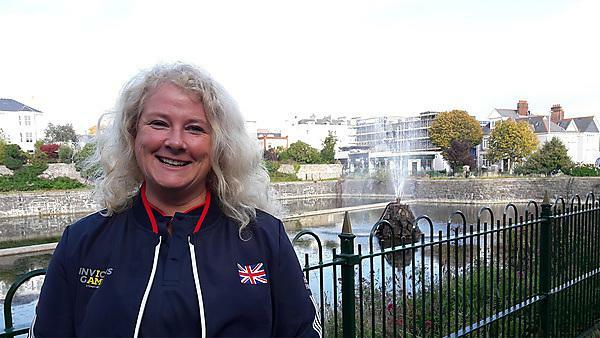 Royal Navy veteran and nursing student Debbie Godfrey will be competing for Team UK in the 2018 Invictus Games, which start tomorrow in Sydney, Australia. Set up by HRH Prince Harry, the Invictus Games use the power of sport to inspire recovery and generate wider understanding for wounded, injured and sick servicemen and women, and Debbie will be competing in sailing and archery. For the last few months, Debbie has been juggling her time studying for a demanding nursing career with travelling some 1,500 miles to Invictus training camps at weekends. It gives you something that you didn’t realise that you were missing which is confidence. I didn’t know I’d lost my confidence. So they’ve given me my confidence back. Studying BSc (Hons) Adult Nursing at University of Plymouth is a demanding course, but Debbie says the University has given her extra time to complete her studies as well as compete in Australia.